Last weekend I was in Antwerp, my home town, running around to find things I needed and can't find that easily in Bucharest. 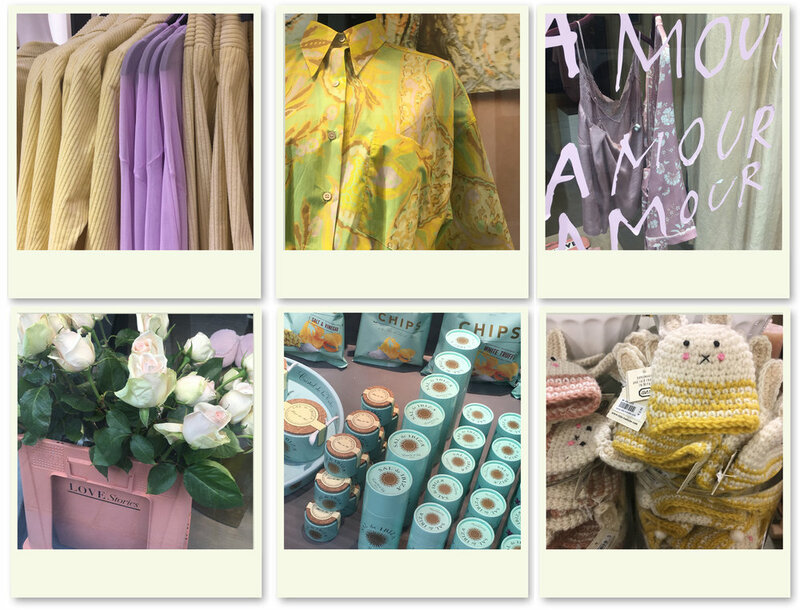 Than I noticed pastels in fashion stores, at delicatessen, in store with kitchen accessories, flower shop, teashop, and it came suddenly to me that pastels were very trendy. So be prepared, soon a blog post on pastels will follow,as it inspired me to look around and see where we find pastels in interior design, how we could integrate them in our home without being to sweet or romantic. Look around, stay curious, and don't forget to send me your snapshots!